There has been rumour making rounds that Obafemi Awolowo University Post-UTME form is out but it has confirmed that it is false as the form is not yet out. This was confirmed to OAU Peeps News Agency by one of the staff in the Admission Unit of the university. 'People have been calling me since yesterday, even I have received many calls about the Post-UTME form, but i keep telling them that it is not yet out, and now I'm telling you that it is not yet out. They should debunk the rumour, we will let you know when it is out' The staff said. However there are strong indications that the form may be out next week if NASU protest stops. Five of the six suspended students whose reinstatement has been one of the major issues in the Obafemi Awolowo University Students' Union circle got a big present for the new month as their studentships were reactivated today. This was confirmed in an appreciation message from one of the affected persons, Olubanji Engels Oluwole, on his facebook page. The Students' Union of Obafemi Awolowo University has insisted and maintained the June 30 deadline given to the university management to reinstate the remaining six (6) suspended students. In a recent Press Statement co-signed by the Public Relations Officer, Ojedokun Emmanuel a.k.a Immanuel Kant and the President, Akande Omotayo a.k.a TY, the Union has retained her initial position that the Union will not recline to start practical action towards the reinstatement of the suspended students as preparations toward that are in top gear. "The June 30th deadline issued by the congress of Great Ife students is fast approaching. We will not recline to start practical action towards the reinstatement of the suspended students as we are already making preparations to do. By June 30, we will have exhausted the grace of consultation and dialogue. 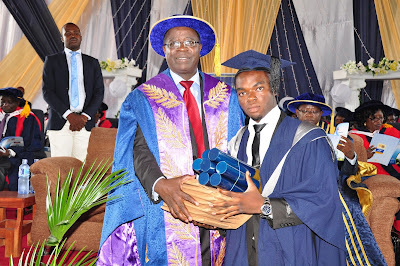 We are very expectant that the university management will yield to our demand before sorting to the last options." The star of today’s show is deserving of all the celebration we can muster because he has distinguished himself on three different levels of academic pursuit. Graduating from the Obafemi Awolowo University, Ile-Ife , with a first class degree, he went on to achieve the same feat at the Nigerian Law School. In June 2015, Onoriode Reginald Aziza graduated from the Cambridge University with another first class degree. Onoriode’s father is a retired civil servant, and his mother is a professor at the Delta State University. Talking about his parents, he says that his father counselled consistent hard work. We featured B Sharp on our platform here sometimes in May where he told us about his new song he was yet to release then. 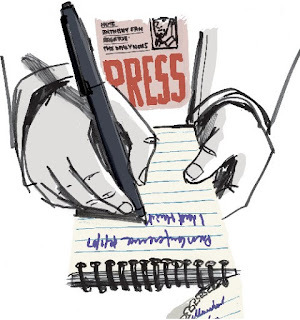 (Read the interview here). 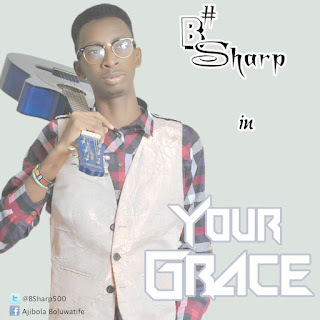 Bsharp is a student of Obafemi Awolowo University and an upcoming artiste. 'Your Grace' is finally out and I can bet you, it is no way below expectation... I have listened to it and wow!!!... it is cool and the lines are awesome! God's grace gives us pace to win the race. Those lines are original but get more lines from B Sharp's Poetic Worship titled YOUR GRACE. He practically exhausted every word that rhymes with Grace.